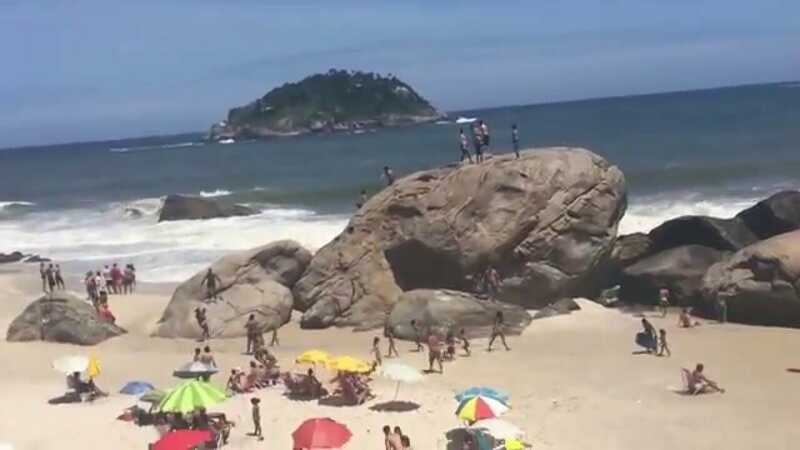 Even if you have never been to Rio you might have seen at least a picture of Morro Dois Irmãos (Two Brothers Hill). 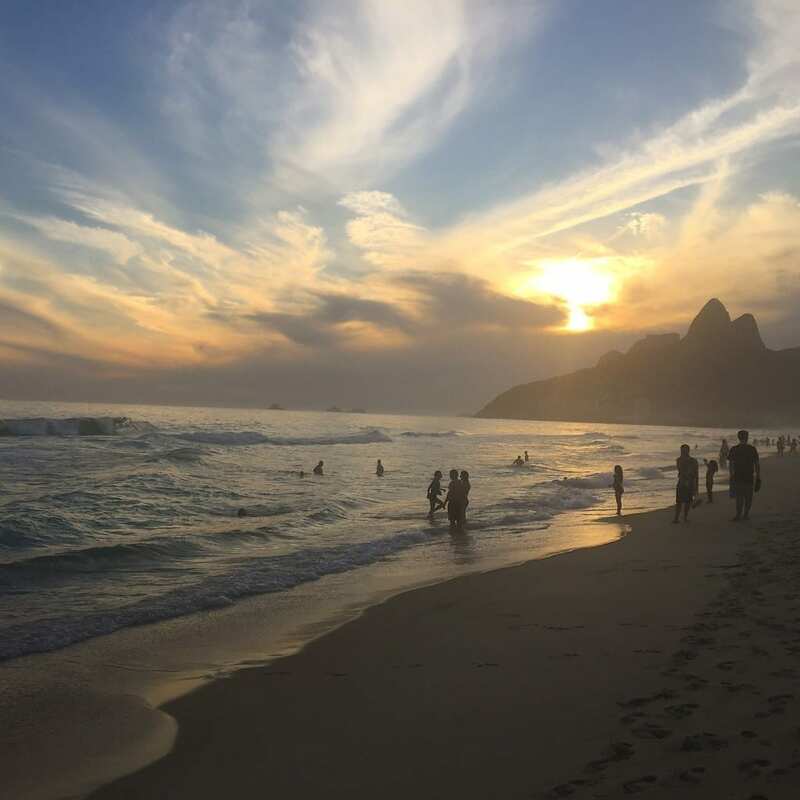 It’s a magnificent mountain located on the South part of the city, that you see in every single picture everyone posts on Ipanema Beach. 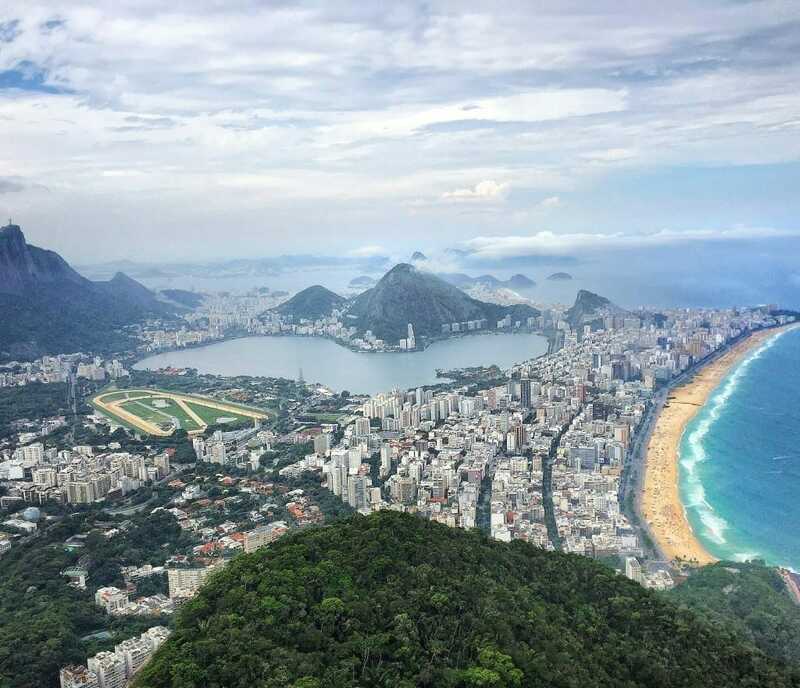 What many people don’t know is that you can actually do the Morros Dois Irmãos hike and get one of the most breathtaking views of Rio de Janeiro. Ipanema Beach with Morro Dois Irmãos on the background. I left my sunglasses and wallet in the hostel and took a bus to São Conrado. 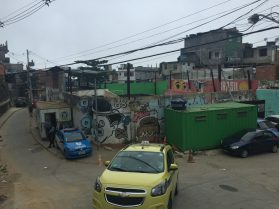 I got off at Vidigal favela and it was there that my ideas of a favela started to change. 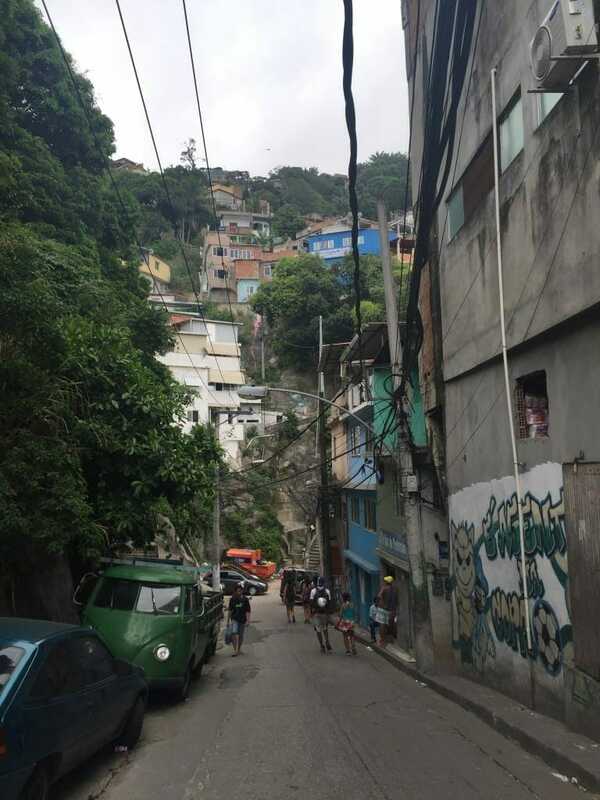 There was a police car at the bottom of the hill, many tourists taking “motor taxis”, and many people going up and down… From the van I realized that the favela was full of life! After a 15min ride uphill on a winding and narrow asphalted avenue I arrived at the start point of the Morro Dois Irmãos hike and saw another police car. The start point is a little hidden and I found it only because of two guys who were on the van with me. 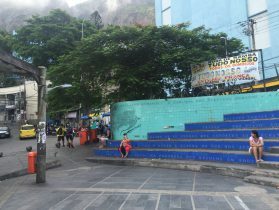 Stairway leading to the hike ‘s start point, Rio. UPP at Vidigal Favela, Rio. The trail is 1.5Km long, in the middle of the rain forest and most of time you walk on the shady side of the trees. The trail is also very easy to follow, completely safe and full of Brazilians and foreigners. Ascending is a constant in this hike, and sometimes I had to hold some trees and stretch my legs completely in order to keep going up. At some points when I looked back I could see Sao Conrado neighborhood and its beautiful beach with Pedra da Gavea (another huge hill which provides stunning views) in the background. 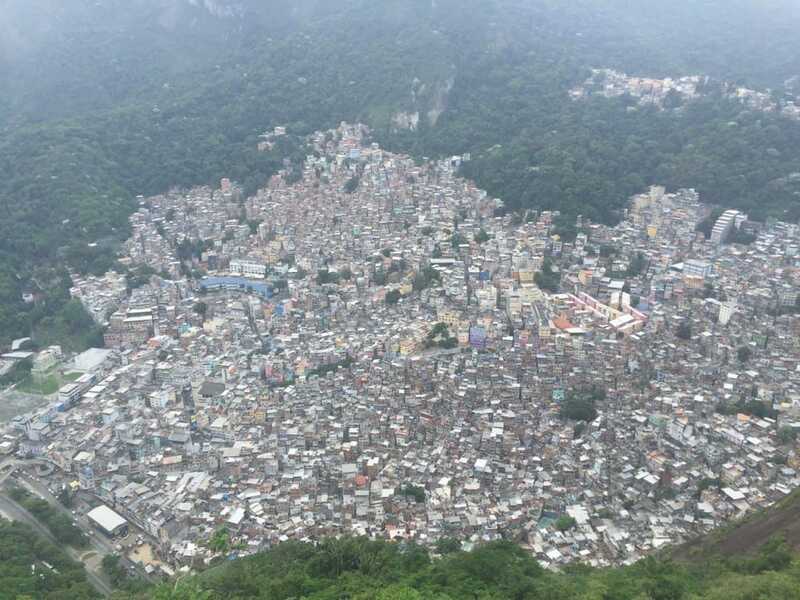 From there I also could see Rocinha, the biggest favela in Rio. 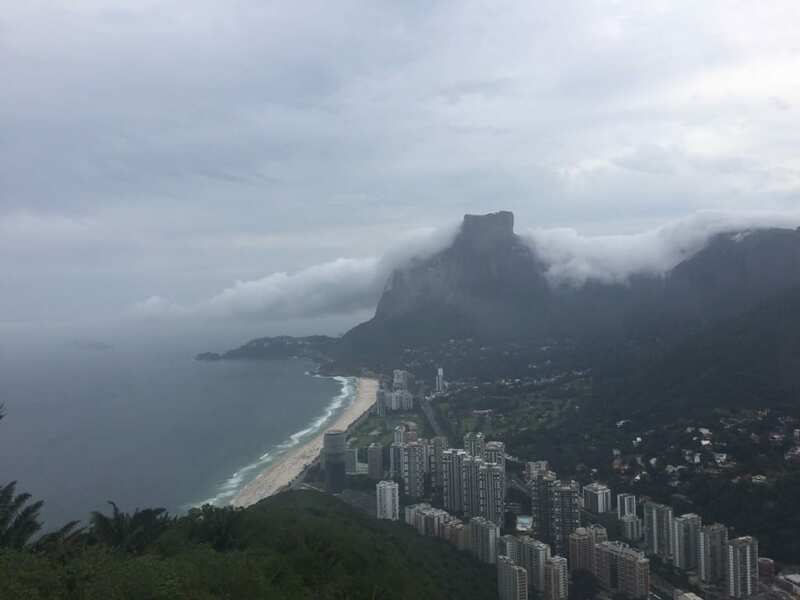 The weather in Rio changes a lot and so fast. So, it is important to do these hikes with blue sky without any clouds. After 30min I reached the summit. The view was just astonishing!! There was a panoramic view with all the famous tourist points: Corcovado (Christ the Redeemer), Lagoa Rodrigo de Freitas, Leblon and Ipanema Beaches, and even the Sugar Loaf. From there I could confirm that Rio is really a “wonderful city” and definitely one of the most beautiful cities in the world. View from Morrow Dois Irmãos, Rio. I was so lucky and just had time to take a few pictures and then the weather changed completely to the point that I could not see anything besides clouds. I took the opportunity to talk to two guys from the community who were selling beverages. 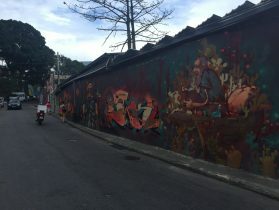 They told me that the Morro Dois Irmãos hike is safe and the favela has changed a lot after the government started a program called UPP (Pacifying Police Union), and the cops who I talked to also confirmed it. 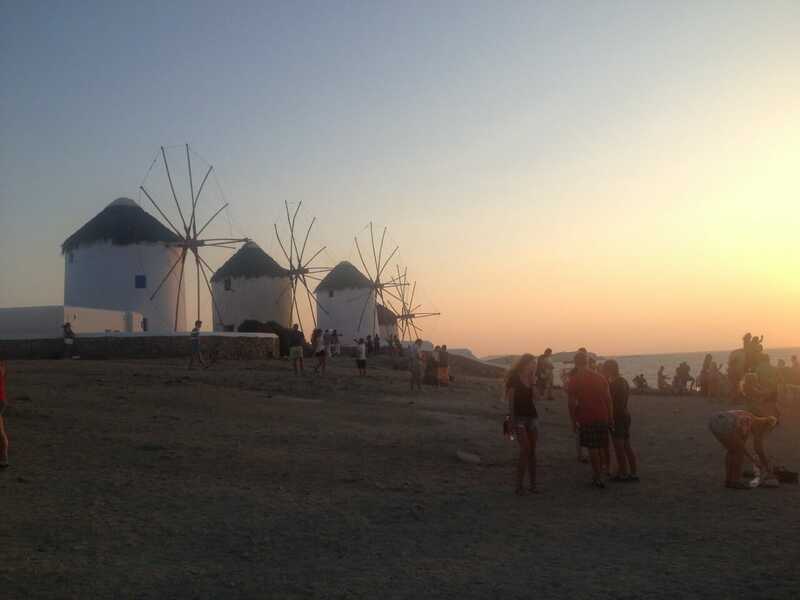 They also told me that people get there early in the morning to see the magical sunrise and some come to see the thrilling sunset. It took me 20min to go down the hill and after talking to the cops, I got an açai ice cream bowl (a berry from the Amazon that is very rich in antioxidants). The weather was still cloudy so I could not enjoy the Bar da Laje, a rooftop bar that became very trendy and attracts people from everywhere because it’s in a favela and has incredible views. I felt so safe after doing the Morro Dois Irmãos hike that I decided to walk all the way down to the bottom of the hill. 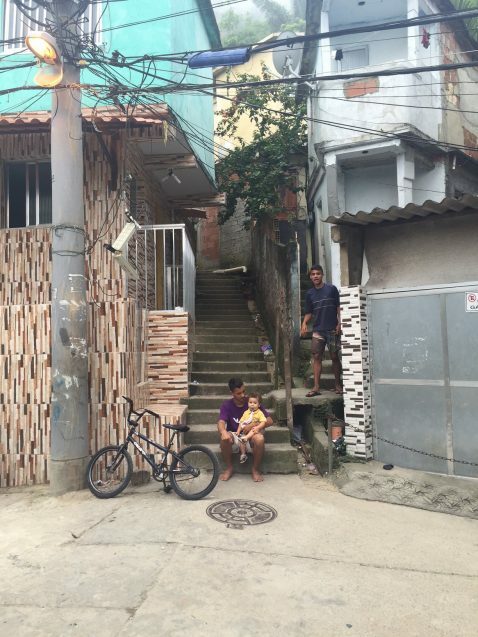 Forget the favela that you saw in City of God or Police Squad. Vidigal nowadays seems just like a regular poor neighborhood with children playing around, people playing cards, people listening to music and everyone enjoying one more Sunday afternoon. 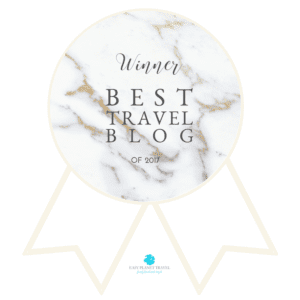 Yet it is still not the best place to hang out, but I also believe that it should be part of the experience when you visit a city full of contrasts such as Rio. ∗ From Copacabana to Vidigal Favela: local bus number 523. I stayed at Copa Hostel, in Copacabana. ∗ Local Bus: R$ 3.40 (less than US$ 1). ∗ Three nights at Copa Hostel: R$ 146 (US$ 36.50) with continental breakfast included. 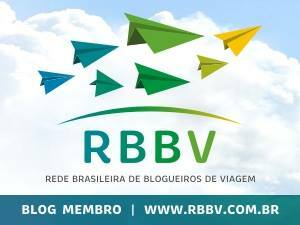 For more information about Rio visit the page: Visit Rio.